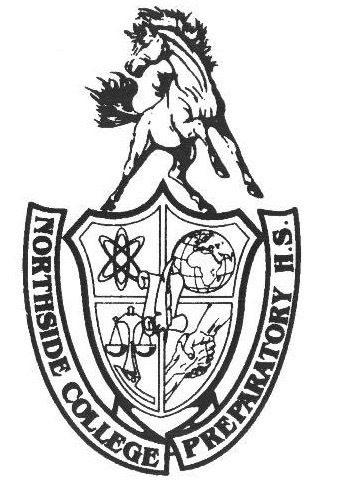 Shot put, long jump, high jump, sprints, and long distance--the Northside track team is practicing it all after school in preparation for their upcoming Indoor and Outdoor seasons. From 4:00 pm to 5:30 pm, the team has been meeting every weekday by the weightroom in order to train for their upcoming events. The team alternates weight training and cardio days, using the free space in the third floor math wing to condition for sprints, long distance running, hurdles, and running starts. Daniel Agbeo, Adv. 808, who sustained a groin injury during preseason, has shown up to every team conditioning so far. “I’m not going to let an injury stop me from training for my favorite sport,” he said. “But I also don’t want to make the injury worse, so I’ve been slowly pushing myself at practice and making it back up to being one of the fastest sprinters.” After giving this quote to the HoofBeat, Agbeo was quick to rejoin his team for sprints down the third floor hallway. Team captains, Nicholas Brown, Adv. 800, Elias Decker, Adv. 806, Sara McCoy, Adv. 807, and Jacob Yosowitz, Adv. 803, lead the track team in a variety of exercises: dynamic stretching, using starting blocks, squats, and deadlifts, just to name a few. Coach Nebrida instructs the team during cardio conditionings. He brings a multitude of bananas and other snacks for the team to eat after their workout is done. “If you workout as hard as you can and run your heart out, it won’t amount to anything if your body doesn’t have the nutrients to build up your muscles. Diet is even more important if you’re a runner because you’re always using up your calories by doing cardio,” Decker says. Last year, Osazee Osaghae, Adv. 904, qualified for the 100 Meter Dash at the State track and field meet. Despite being a sophomore at the time, Osaghae outperformed juniors and seniors alike. He finished first in the city, with a time of 11.05 seconds. He was the only student athlete from Northside to qualify for State during the 2017 track season. He placed 20th overall, an improvement from his freshman debut at state--25th place. Osaghae is looking forward for the 2018 season with the rest of the team, training to place first in State and hoping to help inspire his other team members to follow in his footsteps. “Coming to practice is the only way to improve,” Osaghae says. “I had some friends last year that joined track and made it to City but didn’t qualify for State because they didn’t come to every practice.” It is not too late to join either the Indoor or Outdoor Track team. Track meets are held nearly every Friday or Saturday at varying hours. There are no requirements to join aside from a signed physical, and Coach Diaz welcomes any newcomers that are dedicated to becoming part of the track family (and showing up to each practice).